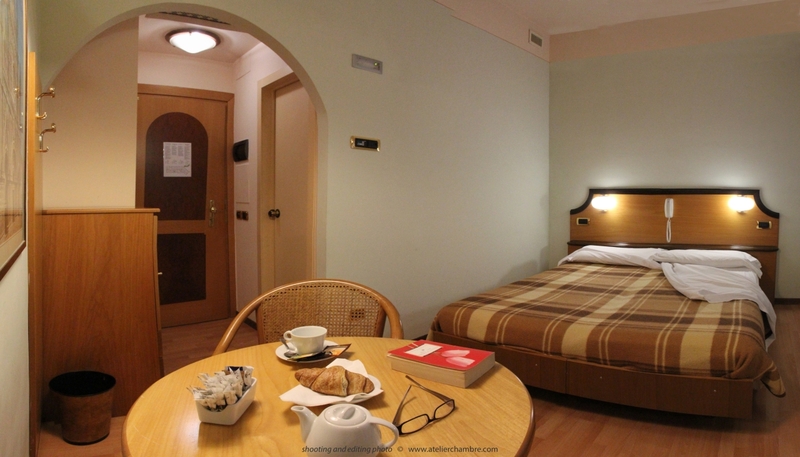 The Hotel Tevere Perugia has a total of 49 rooms, divided into singles, doubles, triples and quadruples. Guests have personal and secure access to their room via a magnetic card. All rooms have parquet flooring, for the greatest possible reduction of allergies and increased hygiene and comfort. Bathrooms have hairdryers and telephone. Each room has its own safe, with a personalised electronic combination system. Rooms also have their own LED digital satellite television and free Wi-Fi, to which guests are welcome to connect their smartphones, laptops or tablets. Most of the rooms have their own balconies and some rooms with independent entrances are communicating. This page has been seen 2,103 times.